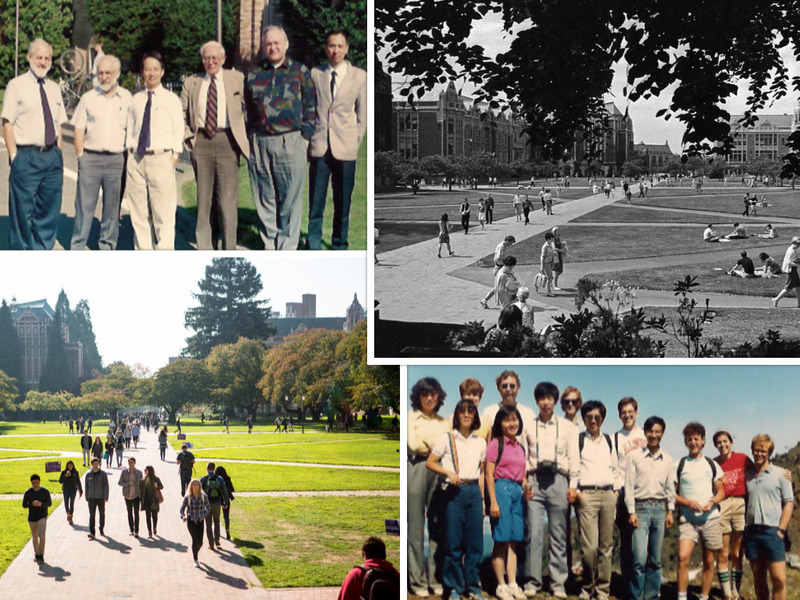 In 2019, we will celebrate the 50th anniversary of Applied Mathematics at UW. The department has had a tremendous impact on how applied mathematics is approached in the US and beyond through its focus on applications, the quality of faculty and students, and the research they produce. At this forward-looking conference, we will explore through presentations and panels what the future of the field may look like for the next 50 years. This three-day conference will be preceded by a two-day workshop (June 17-18, 2019) on the themes of data science and optimization, and various applications. The workshop is mostly aimed at junior researchers, including students. For the broader-themed conference (June 19-21), we will have 5 plenary speakers, parallel sessions, and panels. The study of nonlinear waves continues to be an active area of applied mathematics, relevant to a large variety of application fields such as water waves, Bose-Einstein condensates, nonlinear optics, granular media, climate science, and many more. Mathematical techniques from all parts of applied, but also pure mathematics have contributed. Often advances made in the pursuit of a specific goal have impacted the entire field. The interplay between methods and applications has always been intriguing and the flow of ideas has gone in both directions. Significant contributions have come from and have been made in numerical analysis, asymptotics and perturbation theory, finite- and infinite-dimensional dynamical systems, partial differential equations and analysis. The conference on Recent Advances in Nonlinear Waves will take place at the University of Washington in Seattle. The conference is held in honor of the 75th birthday of Harvey Segur, who has impacted the field of nonlinear waves in substantial and lasting ways. With the recent financial crises, the growth of high-frequency and algorithmic trading and the continuous introduction of new regulations designed to safeguard the financial system, the landscape of the financial markets is changing quickly. These changes have opened up entirely new directions for research within the math finance community. It is the goal of the 8th WCMF to highlight research in these newly developing areas. In particular, a special emphasis will given to asymptotics for parabolic PDEs, robust hedging, and stochastic portfolio theory. Attendance by early career researchers is encouraged. The 2017 WCMF will take place on the University of Washington campus in Seattle, WA. It is the eighth annual meeting of this group and the first time in Washington.